In the current payments landscape, cashless, P2P, real-time payments, and digital wallets rule the roost compared to the traditional cash-based transactions. The banking and financial institutions also have to contend with new entrants and challenges due to the increasing regulations such as PSD2 in Europe. Helping the financial industry gear up for this age of disruption around payments is TAS Group that emerges as the ideal partner for banks and FIs, offering a 360-degree payment experience focused on a cashless tomorrow. TAS Group’s Cashless 3.0® offering, an end-to-end card payment platform, empowers clients with a one-stop-solution for card issuance, transaction processing, acquiring, and fraud management. The modular, cloud-ready solution integrates seamlessly with legacy systems and is scalable and flexible to create a customized fit for specific business needs. Cashless 3.0 not only provides a direct connection to Visa, MasterCard, and Union Pay International networks and all the functionality necessary to manage the traffic of transactions on both the issuing and the acquiring ends but also allows to set-up, direct, incorporate, and update payment acceptance networks.“Our software solution has managed over one hundred million cards, and we guarantee its continuous evolution,” states Dario Pardi, President of TAS Group. As a part of the Cashless 3.0 platform, CARD 3.0 helps clients to manage all aspects of the card lifecycle from initial configuration to sales and post-sales, which includes monitoring of stock levels and replenishment at branches. Delivering a holistic solution, TAS’s PayGlobe proposition helps clients with payment acceptance, while the EasyBranch suite manages the entire ATM channel for a new generation of customer self-service experiences, enabling clients to cut costs, attract new market segments, and increase transactions with higher margins. The firm’s business, functional, and technical expertise extends their clients’ capabilities with a focus on key trends such as open banking driven by PSD2, and the exponential growth of cloud services. “Open banking is driving competition and also creating more opportunity for the forward-thinking banks and financial institutions. The winners will not necessarily be the biggest, but the quickest,” adds Valentino Bravi, Shareholder, CEO, and GM of TAS Group. The firm helps banking clients with their open banking platform that can accelerate banks’ development in this arena. TAS’s flexible business model and openness to partnerships allow them to work with license, rental, S-a-a-S, cloud, or on-premise customers. “In fact, Oracle has recognized TAS Group as one of the first three strategic partners to offer software and services through its cloud-driven digital innovation platform,” says Peter Caiazzi, VP, Product Development, and GM USA. 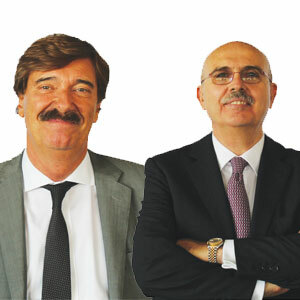 “We have also invested significantly to create our Digital SW Factory that enables companies to meet their clients’ needs as well as to accelerate their time-to-market,” adds Caiazzi. Leveraging over 35 years of fintech leadership, the company’s esteemed clientele includes a German bank in Europe that leveraged their solution for various banking functions such as treasury management, liquidity management, and stock exchange management.TAS Group also plays a facilitating role for banks in various cryptocurrency initiatives, not only allowing clients to offer dual currency prepaid cards (Bitcoin and Euro) but also enabling standard ATMs to work with cryptocurrencies.